Hawker Siddeley Aviation have been around for nearly 100 years in different forms. 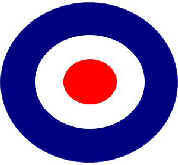 It made fighters and bombers for the Royal Flying Corps and later the RAF in World War One and World War Two. The Hawker Hurricane was developed in its offices in Kingston upon Thames, Canbury park Road near Kingston Railway Station near London. This was where the first plans for the Hawker Siddeley Harrier jump-jet were drawn up. Hawker's designer John Fozzard was put in charge of the development of the Harrier GR.1 After a long period of development the first Hawker Siddeley Harrier jump-jet flew on 31st August 1966. In 1977 Hawker Siddeley Ltd was nationalized and became part of British Aerospace (BAE) group. The "Hawker Siddeley Harrier" then became the "BAE Harrier". The office building still remains but it has been turned into flats. All that remains of its historic past are small Hawker Hurricane propellers built into the wrought iron railings. This was the place that built the Hawker Hurricane fighter plane that helped win the Battle of Britain and change the coarse of Hitler’s plans and all Kingston Council can do is make the housing developer add small decorative propellers to the outside iron work. It is criminal. Where is the museum dedicated to the Men and Women of Hawker Siddeley, the Hurricane and its wartime pilots? (Hawker Siddeley became part of British Aerospace in 1977) The Hurricane and The Harrier jump jet were constructed and developed at Hawkers larger plant near the junction of lower ham road with Richmond road in Kingston. This now is a housing estate. There is no museum there either. The council didn’t even think of naming the new roads in honour of the company or the aircraft. During the days of the Cold war the military planers could see a situation when all airfields were knocked out. They therefore needed a plane that could operate out of restricted spaces and can deliver with pin-point accuracy a wide range of ammunition by day or night. During wargames in Germany where the Eastern Block tank forces were in theory overrunning the European northern lowlands the RAF practiced deploying Harriers from roads in villages and open spaces in forests to provide close air support and ground attack tank buster functions. The FA2 Sea Harrier variant of the BAE Systems Harrier fighter aircraft VTOL is in service with the British Royal Navy and the Indian Navy. It will soon be replaced by the Lockheed-Martin F-35 radar-evading stealth Joint Strike Fighter bomber JSF. The Sea Harrier proved itself in the Falklands war Operation Corporate September 1982 in its CAP Combat Air Patrol function providing air defence for the carrier fleet. Twenty Eight Sea Harriers, operating off the command carriers HMS Hermes and HMS Invincible, made 1,100 CAPS and ninety offensive support sorties in the course of 2,376 flights That is a flying rate of up to 3-4 sorties per pilot per day. That included 2,088 deck landings and 2,675 hours of airborne time. These few faced over 200 land based Mach 2 Dassault-Breguet Argentinean Airforce Mirage III, AAA Daggers and McDonnell Douglas Skyhawks. The Argentinean pilots were very highly skilled as seen by their attacks on the British Navy shipping and ground targets. The Argentines named the charcoal-painted Sea Harriers "la Muerta Negra (the Black Death)", not bad for a subsonic fighter. In the early 1970’s Lieutenant Commander Douglas Taylor came up with the idea of adding a ski-jump takeoff ramp to the carriers to allow the Sea Harriers to carry more warload with a shorter takeoff run. It threw the fighter up in the air on take off and also gave the pilot more time to eject if for some reason there was a problem with the aircraft. It took up until 1985 before they were added to British Navy Carriers. The Harrier had been designed to combat low-flying attack aircraft armed with long-range air-to-surface missiles. The tactic of viffing , "vectoring in forward flight (VIFF)" was particularly effective in dog fights. When being pursued by faster supersonic aircraft the Harrier pilot deployed the aircraft’s four rotating jet exhausts down and forward as air brakes. This had the effect of suddenly reducing the Harrier’s speed and increasing its altitude. The pursuing aircraft over shoot its prey and was now in front of the Harrier’s guns and missiles. They destroyed twenty three Argentine aircraft. This included eight McDonnell Douglas Skyhawks, an English Electric Canberra, nine AAA daggers, two Dassault-Breguet Mirage IIIs and a Lockheed Hercules without a single air to air combat loss. The design of the harrier is optimised for air-to-air combat with secondary missions of surveillance, air-to-sea and air-to-ground attack. Squadron Leader Bob Iveson who had had the honour of flying the first Falkland War sortie, was shot down by ground fire whilst attacking some Argentine trenches on Darwin Hill. He survived and later said, "it was a silly move, a very poor tactical move, and it cost me because it was on that pass that I was hit. I was coming off target, heading roughly west, and was hit by two fairly large-calibre shells - probably 30 or 35 mills - a hell of a thump which rattled me round in the cockpit banging my head on the side of the canopy - it moved the aircraft sideways that much. Things went very wrong, very quickly, after that. The controls stopped working; there was smoke in the cockpit and finally fire, at which point I pulled the handle. I was in a good attitude to eject but I was a bit fast and a bit low - about 450 knots at 100 feet. The chute opened and I found myself going right towards the fireball of my aircraft in front of me. I couldn't tell whether it had struck the ground or not. I think now it had blown up in the air. I was only on the chute for about ten to fifteen seconds before I hit the ground, in a bit of a heap and very winded." 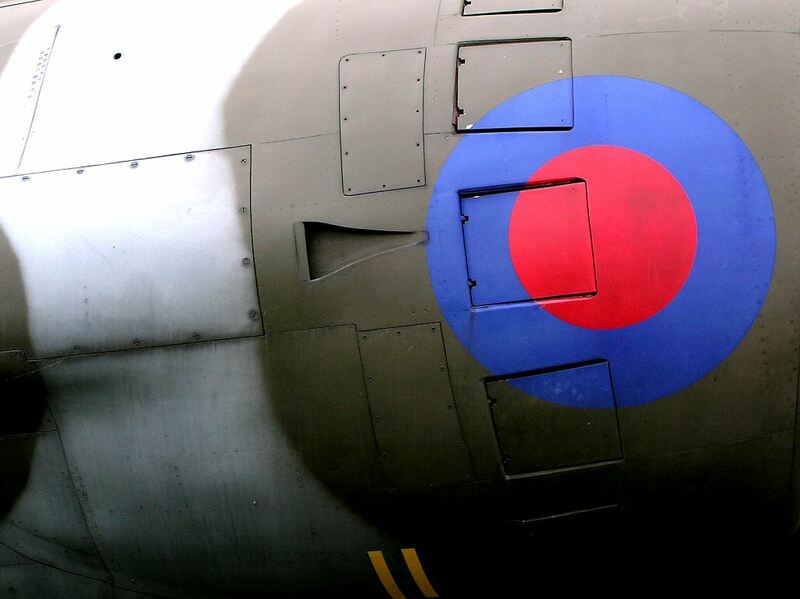 Squadron Leader Bob Iveson suffered a compression fracture of his back and windblast damage to his eyes. He was picked up by a naval helicopter two days later. He returned to the Falklands for a second tour after the war when he had recovered from his injuries.